April 30, 2018 (El Cajon) -- Bill Wells, El Cajon Mayor and a Republican challenger to Rep. Duncan Hunter in the 50th Congressional district, has appeared on the FOX Business program "Risk and Reward" and FOX News Channel's "FOX and Friends" openly endorsing a growing revolt by Southern California cities against Senate Bill 54. The mmeasure signed by Gov. Jerry Brown (D) last October declared the State of California as a "sanctuary state" for undocumented immigrants. It was passed in response to the Trump administration’s broad crackdown on undocumented immigrants including increased deportations. February 21, 2018 (El Cajon) – If San Diego’s East County politics aren’t complex enough, another chess piece got moved on Tuesday with El Cajon Mayor Bill Wells announcing his intention to run against the troubled 50th District Republican incumbent, Congressman Duncan D. Hunter. January 14, 2018 (El Cajon)—Defying a city of El Cajon ban on feeding homeless people in public places, a dozen individuals including a 14-year-old minor were arrested and given misdemeanor citations by El Cajon Police today, then released. El Cajon’s City Council voted to adopt a temporary ban on feeding the homeless in public places during the countywide hepatitis emergency declaration, since there have been many cases among the homeless in the outbreak, which county health officials believe originated in El Cajon. March 31, 2017 (El Cajon )—El Cajon Mayor Bill Wells is leading efforts among local officials opposed to Senate Bill 54, which would declare California a sanctuary state. Officials from several local cities joined Wells in a press conference March 29th at the El Cajon Police Department, where about 25 protesters who support the sanctuary measure also turned out. Opponents of SB 54 claim it would make communities less safe and put federal funds at risk. They have launched their own website, www.mayorsforsafecities.org. Critics disagree, and one local official contends that backers of the Safe Cities website have disseminated "alternative facts" that mislead the public on SB 54. March 17, 2017 (El Cajon) – El Cajon’s City Council spent a full hour Tuesday debating a proposal by Mayor Bill Wells that aims to save Council time and staff resources by limiting how many items a Council member could place on an agenda single-handedly to just one per quarter, a maximum of four a year. To bring forth any additional item, a Council member would have to gain support of one additional member. But that raises potential Brown Act violations andconcerns over suppressing citizen’s representation, the American CIvil Liberties Union (ACLU) warns in a letter sent to the City's attorney, Mayor and Council members.. Newly elected Councilman Ben Kalasho strenuously objected to the proposal, leading to a testy exchange in which he threatened to sue Wells and fellow Council members to protect what he views as his right to represent his constituents. Several members of the public also spoke out, all opposed to sttifling their representatives’ ability to put items of concern on the agenda. March 9, 2017 (El Cajon) – El Cajon Councilman Ben Kalasho will hold his second town hall meeting tonight from 7 p.m. to 8:30 p.m. at the El Cajon Police community room, 200 Civic Center Way in El Cajon. In a video posted on his Facebook page, Kalasho asks public support to block a measure introduced by Mayor Bill Wells that would prevent any individual councilmember from adding an item to the agenda without support of another member. The only Democrat on the Council, Kalasho contends that the proposal is targeting him. That measure is expected to be on the agenda for the March 14th Council hearing at 3 p.m..
December 12, 2015 (El Cajon)- El Cajon Mayor Bill Wells delivered his State of the City address last Tuesday, listing El Cajon’s accomplishments and improvements, as well as the outlook for the city’s future. December 8, 2015 (El Cajon) – El Cajon Mayor bill Wells will present his State of the City address on Tuesday, December 8 at 2:00 p.m. in the City Council Chamber. The Mayor will detail accomplishments of the City over the past year, as well as where the City is headed in the next year and beyond. "I will support this in honor of my sister, and my mother and my father-in-law," -- Councilman Bob McClellan (photo, left), who lost all three family members to smoking-related illnesess. June 12, 2015 (El Cajon) – El Cajon’s City Council voted 3-1 on Wednesday to send a letter asking Assemblyman Brian Jones and Governor Jerry Brown to support Senate Bill 151, which would raise the minimum legal age for buying cigarettes and other tobacco products from 18 to 21. Jones has taken over $25,000 in campaign contributions from the tobacco industry. East County’s State Senator, Joel Anderson, took nearly $40,000 and voted against the bill when it passed the Senate. April 10, 2015 (El Cajon )—At Tuesday's El Cajon City Council meeting, the City Council will discuss a proposal for a ballot initiative to crack down on alcohol sales to minors and chronic drunks, as well as potentially ban sales of powdered alcohol. 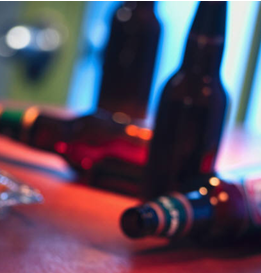 “My goal is to make this the strongest law in the United States to stop sales of alcohol to children and serial inebriates,” Vice Mayor Pro Tem Gary Kendrick told East County Magazine. October 24, 2014 (El Cajon)- Jonathan Wright is running against incumbent Mayor Bill Wells and challenger Allen Theweny for Mayor of El Cajon. Wright participated in an exclusive interview with East County Magazine. Wright discusses his values, what his main priorities will be once elected, and his views about the East County Performing Arts Center (ECPAC) among other topics. He has a background in business management, marketing and IT support. He decided to run for Mayor to serve the people and lead the city into the future, helping get the people and the city back on track to prosperity by working to alleviate poverty for the elderly and to get people off the streets. Update October 27: Jonathan Wright has now participated in an interview with ECM, which you can read here. October 7, 2014 (El Cajon)- Mayor Bill Wells is up for re-election this November against challengers Allen Theweny and Jonathan Wright. Wells participated in an exclusive interview with East County Magazine below. We invited all three candidates to be interviewed, but only Wells responded by deadline. In the interview, he discusses the city's achievements during his tenure on Council and as Mayor, the issues facing El Cajon, and his goals for the future. “What it really is, is an investment in children’s future,” Councilman Gary Kendrick told East County Magazine. “$10,000 today could save us $100,000 tomorrow in police costs and property crimes.” He added that performing together also builds self-confidence and a sense of accomplishment, as well as forging bonds that can last a lifetime. “My son still has close friendships in Hollywood that started when he was in Christian Youth Theater in San Diego,” Kendrick recalled. The San Diego Youth Choir (www.youthchoirsd.org) aims to be housed in a central location in El Cajon with state of the art rehearsal space, practice rooms, dance rooms, and a recording studio.